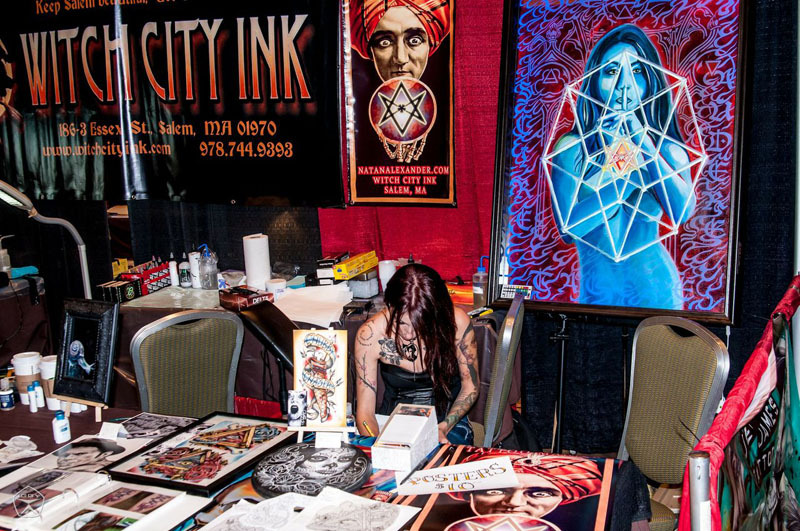 The 11th Annual Boston Tattoo Convention has come and gone, and it was by far our best year yet. 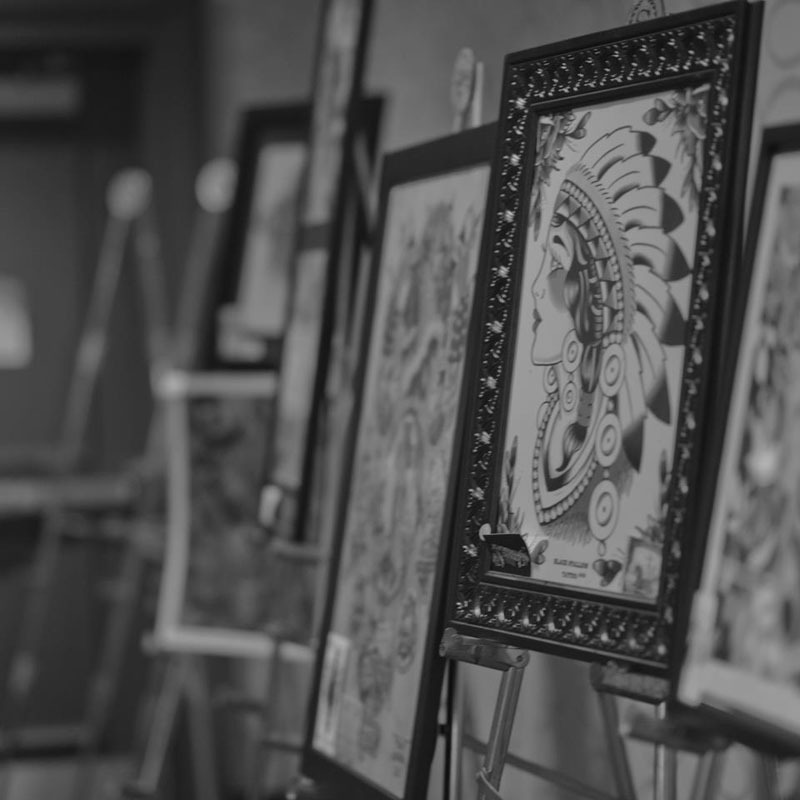 We were able to expand at the last minute and add additional booths to accommodate more artists, there was a significant increase in attendance, and best of all, we had a lot of positive feedback from artists and collectors alike. To everyone that helped make the BTC happen, and to those who attended in one form or another: Thank you, thank you, thank you. We look forward to continuing to grow with you in the next years! 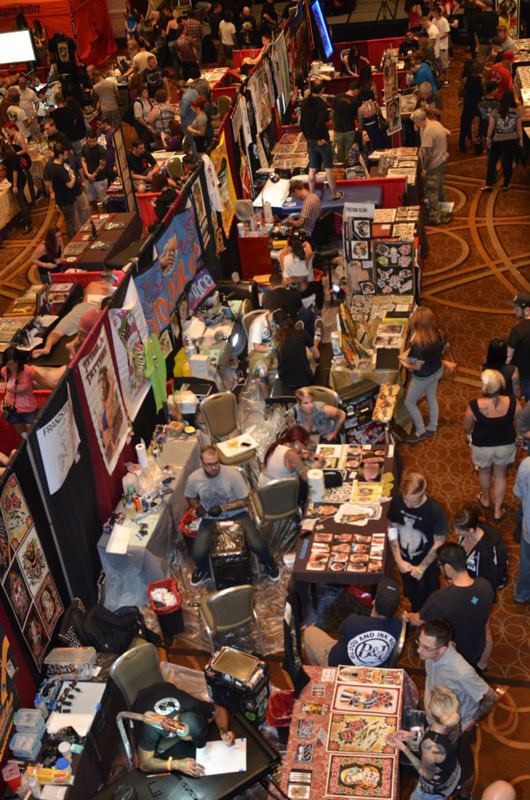 Speaking of, we are already planning and preparing for the 2013 show, so keep checking bostontattooconvention.com for updates. In the meantime, you can find photos from the 2012 show right here. Below are some of our favorites. Jenny manning the booth for us. See that painting on the right? There will definitely be a post about that here in the near future! Myke Chambers hard at work. Ladies of the Miss Boston Ink Beauty Contest. A shot of just some of the great work that was in the art gallery. Horikei, who did several tebori (traditional hand-poke) tattoos over the weekend. Aerial view! We had about 140 booths — we took up so much space, it would have been impossible to get them all into one shot.